The Queer Tango Book – Ideas, Images and Inspiration in the 21st Century edited by Birthe Havmoeller, Ray Batchelor and Olaya Aramo was published in March 2015 by The Queer Tango Project as a free ebook in English. 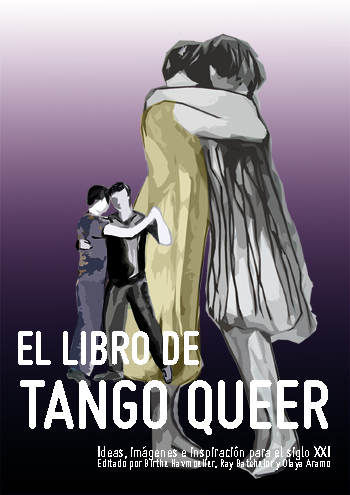 We are working on a Spanish edition of the Book titled, El libro de tango queer – Ideas, imágenes e inspiración para el siglo XXI. The translation is unfortunately taking longer than expected, so we have decided to share essays of the Book, piece by piece, as soon as each piece is ready for publication. Later, as originally planned, we will publish El libro de tango queer as a traditional free ebook for download. 1. ¿Qué es el Tango Queer?